Sentient Brand Consulting takes the fuzziness out of brand strategy to reveal a measurable connection between equities and business performance. By elevating science over marketing tradition, Sentient reveals the functional mechanisms behind traditional marketing practices to help our clients build and monetize brand loyalty with greater certainty and reliability. By putting human behavior front and center, we are able to treat the brand relationship as a fundamentally human expression, resulting in a more rigorous, authentic and intuitive approach to marketing. Through a combination of business strategy, behavioral science, and social meaning, we deliver scientifically tested, practical marketing strategies, tactics, and agency briefs. Constructs the optimal organizational and cultural narrative to reliably differentiate your brand in the marketplace—leveraging the behavioral mechanisms behind irrational loyalty and social momentum to act as an internal “brief” for innovation, design, and communication strategy. 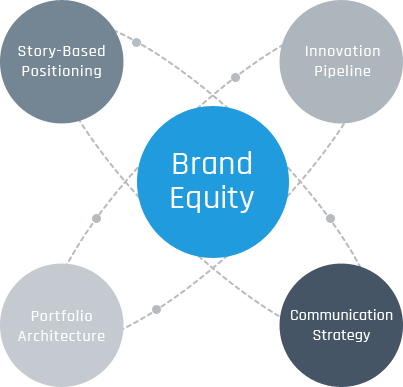 Establishes a step-by-step guide to confidently translate your brand equities into new categories—leveraging the behavioral mechanisms behind cognition and choice to break out of the constraints of your current product portfolio and dramatically increase your brand’s long-term CAGR. Designs a strategic communication blueprint that effectively elicits targeted beliefs and perceptions about your brand to leverage scientific principles that stimulate alternative neural networks, changing the hearts and minds of your audience and increasing advertising and social media ROI. Engineers a systems-based portfolio management approach that maximizes total portfolio growth—bridging marketplace analytics with consumer cognition to optimize the roles and goals of each individual brand and sub-brand, reducing inefficiency and increasing overall growth at current resource levels.